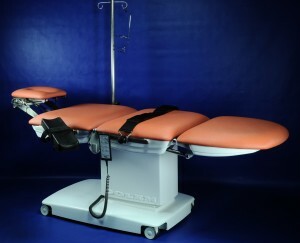 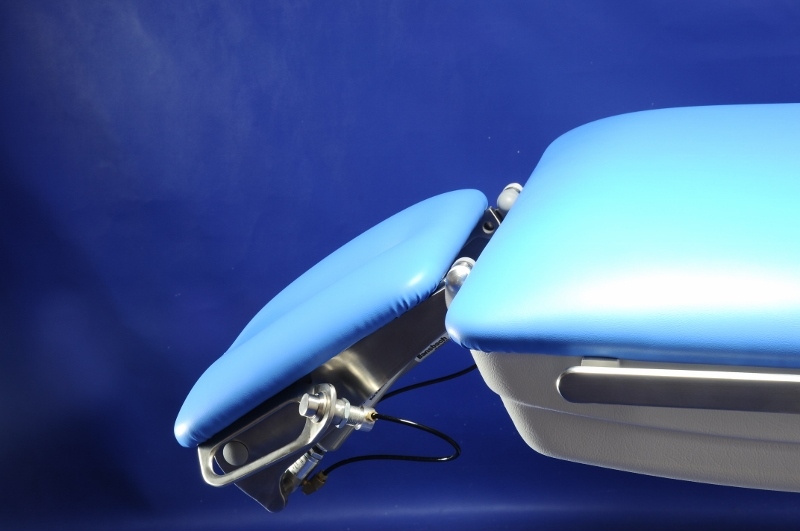 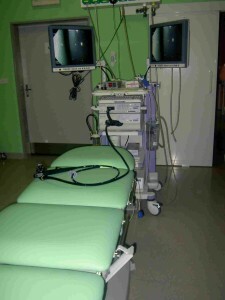 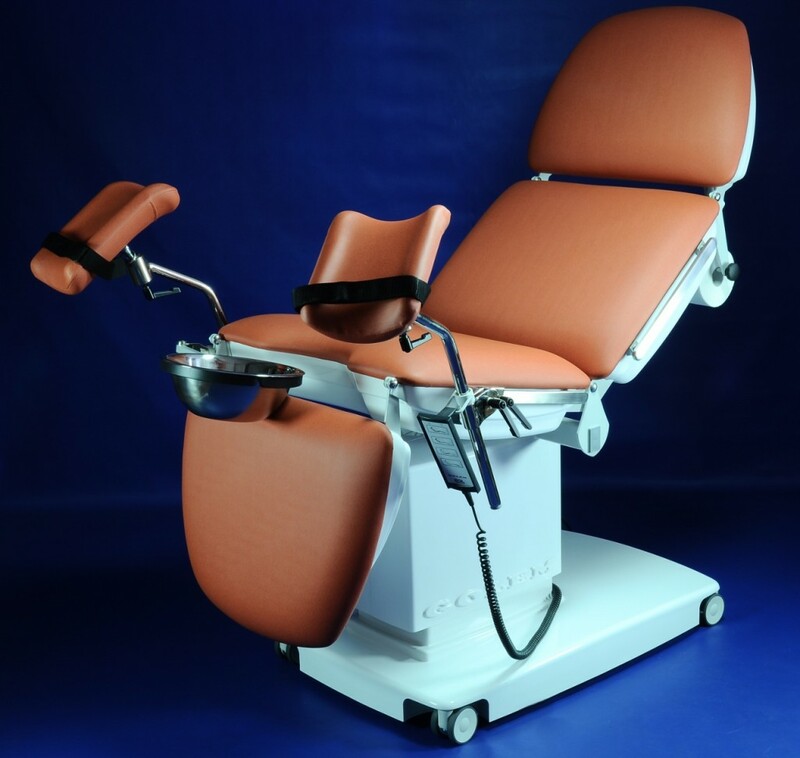 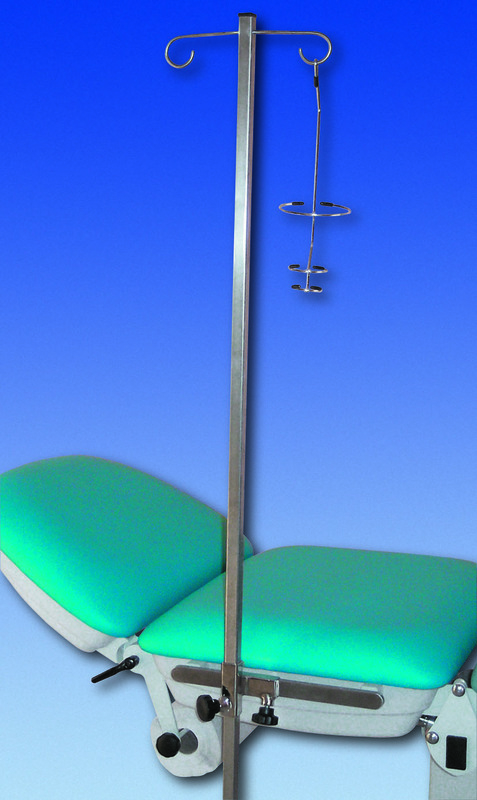 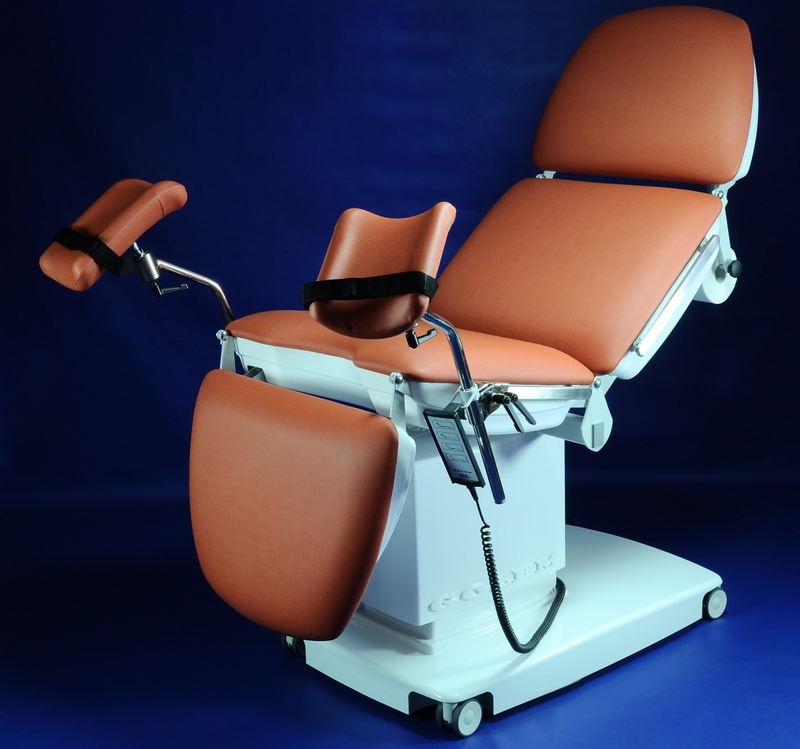 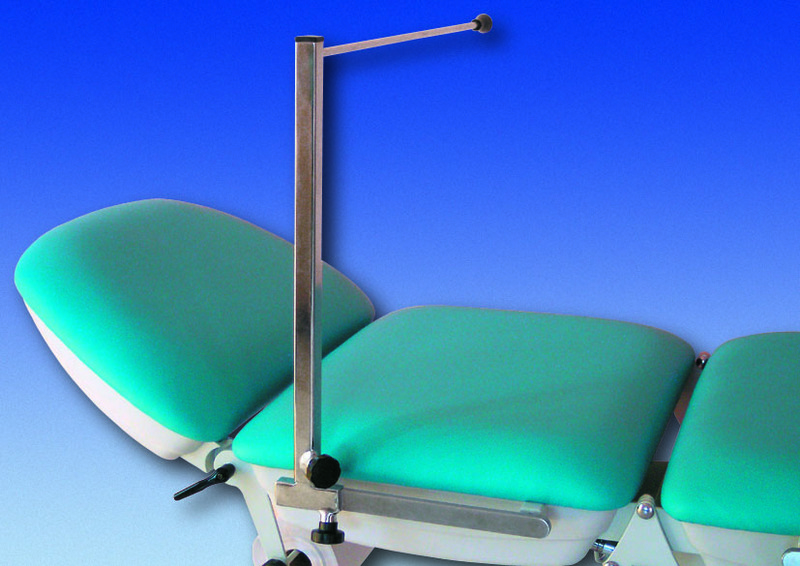 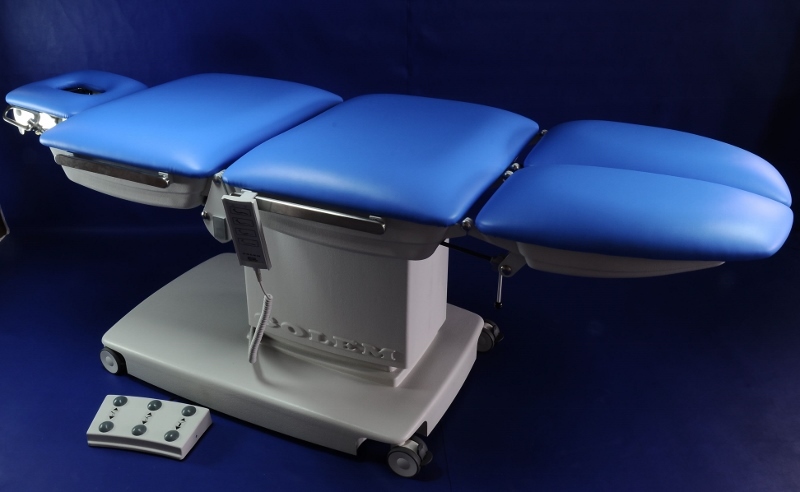 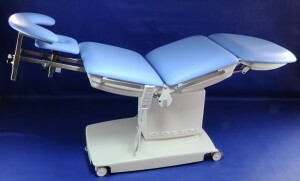 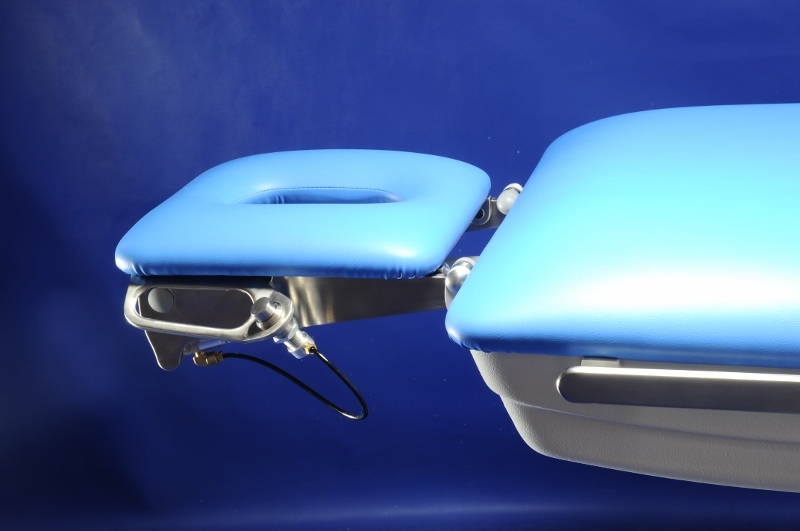 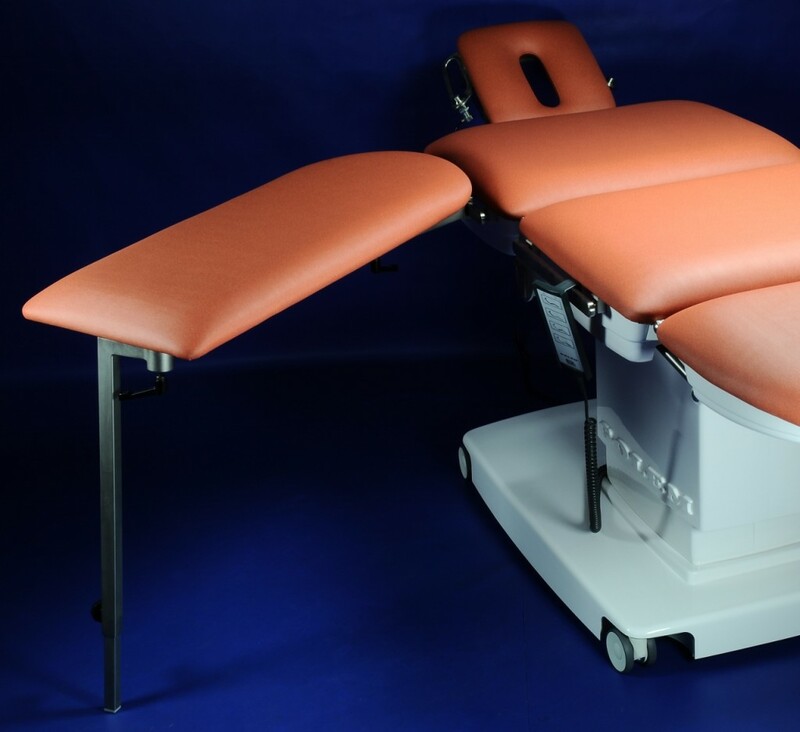 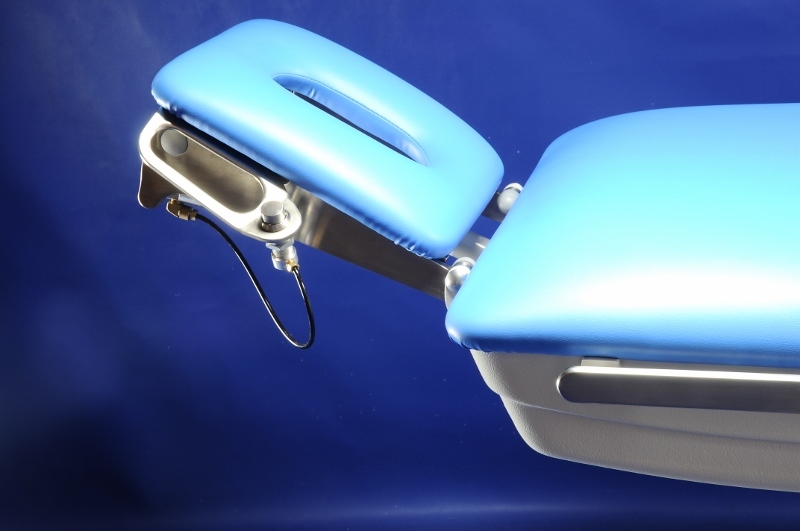 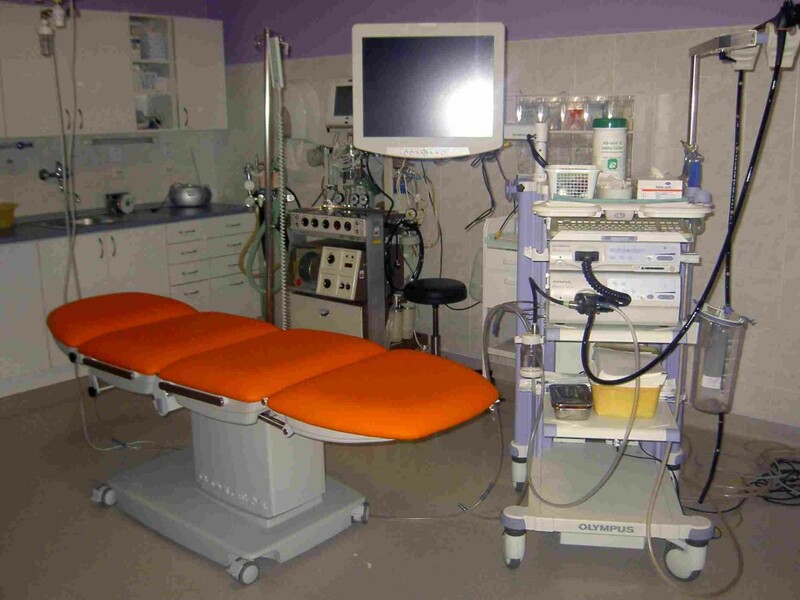 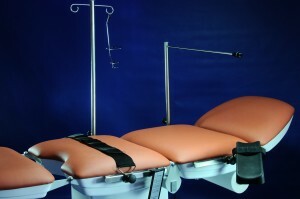 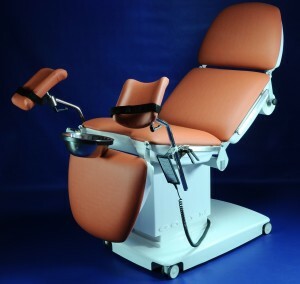 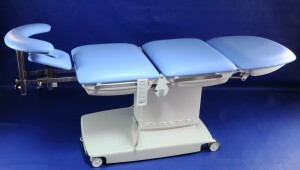 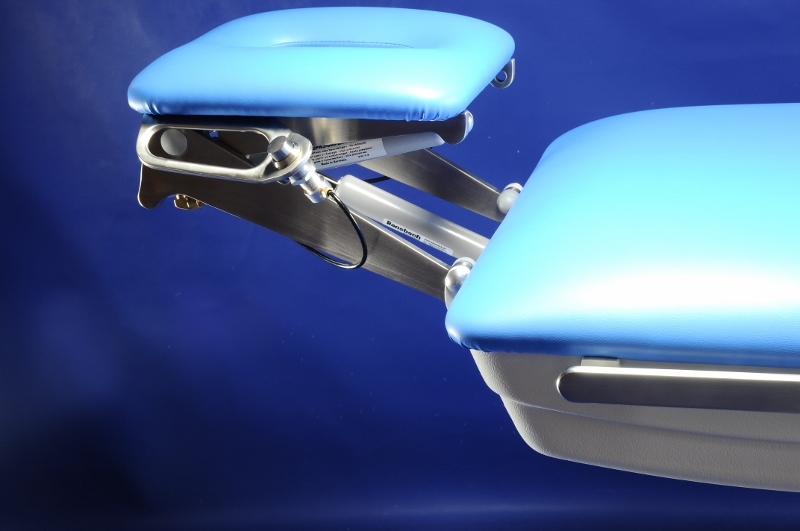 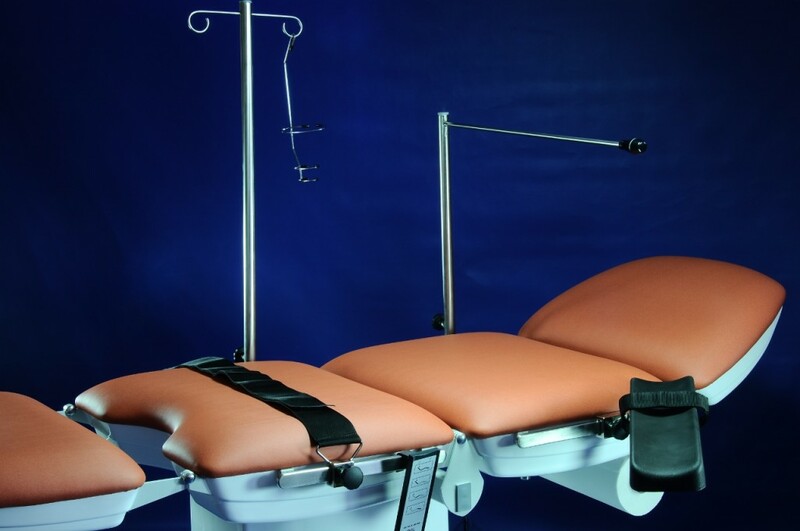 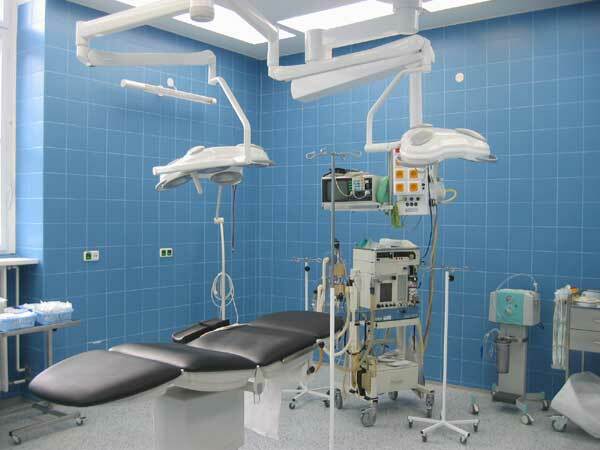 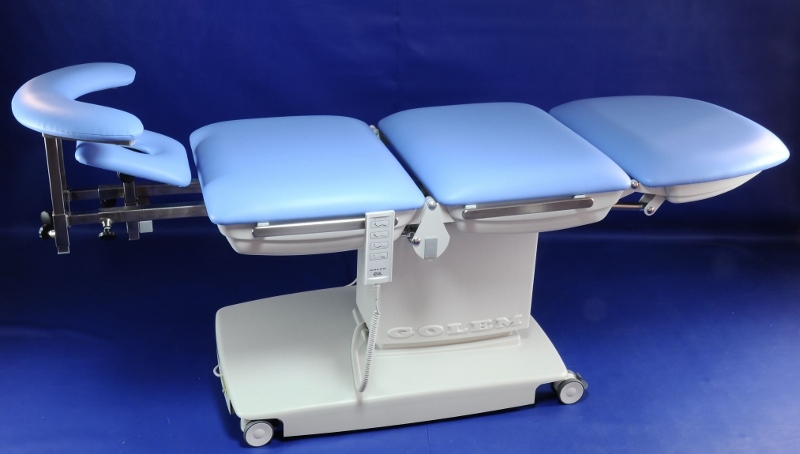 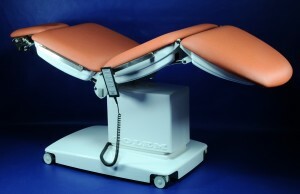 Medical treatment tables are designed for the performing of procedures in all medical areas. 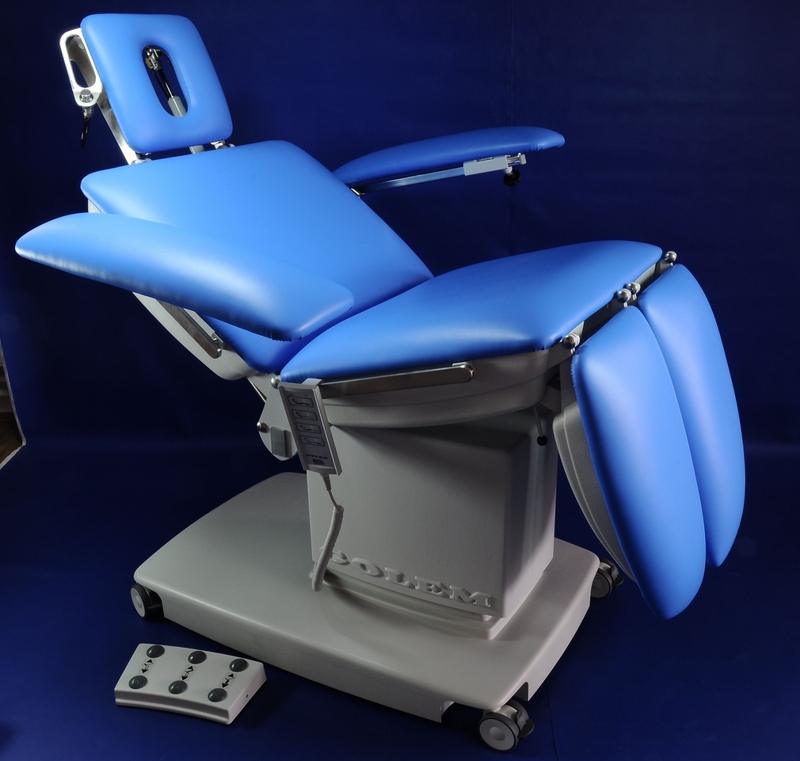 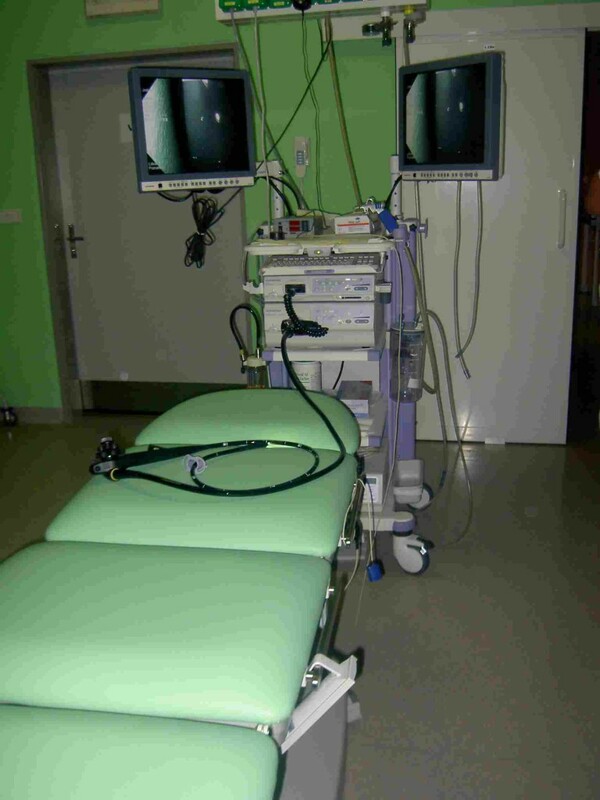 You can select a version satisfying all your specific requirements for your and your patient’s optimal position. The number of segments and the method of their adjusting depend purely on your choice. 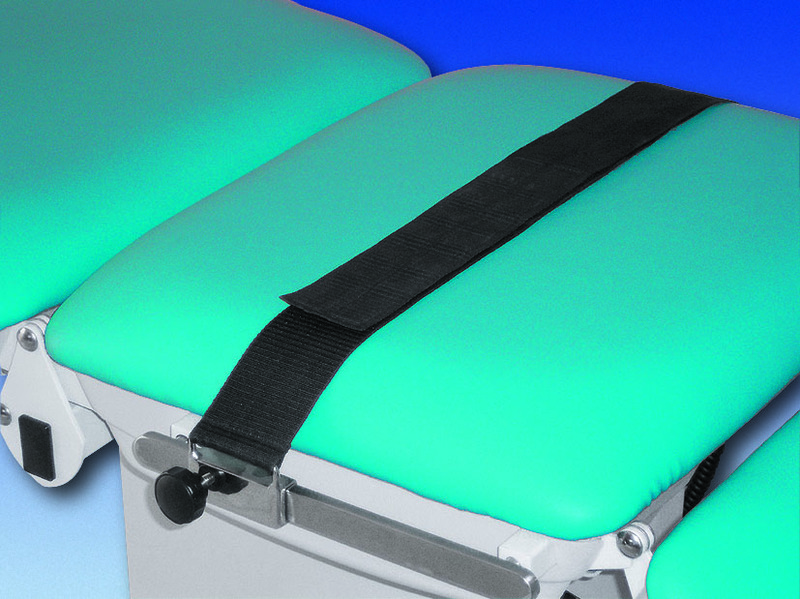 According to your request, the table can be equipped with EUROrails for the fastening of various accessories. 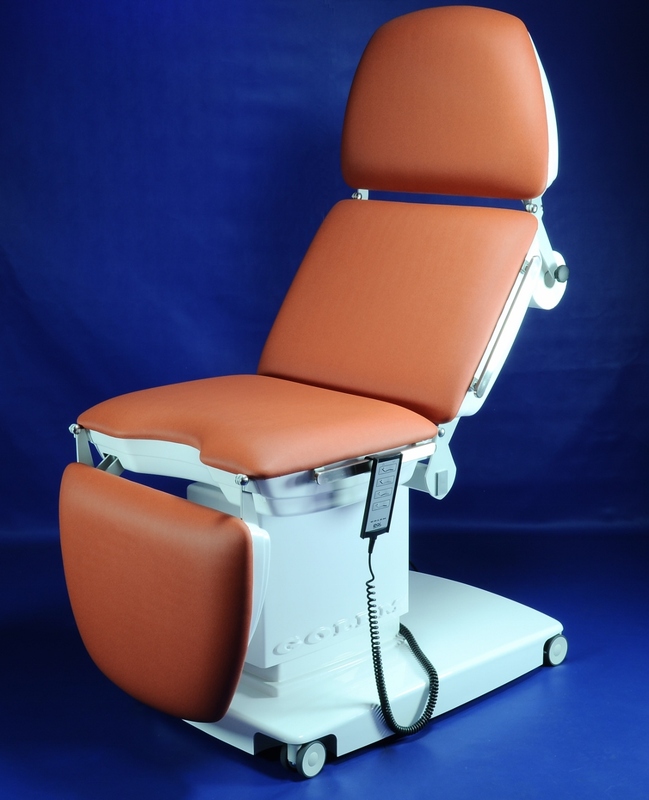 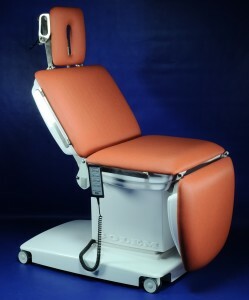 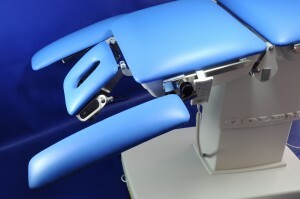 Functionality and comfort for you and your patient are always in the first place. 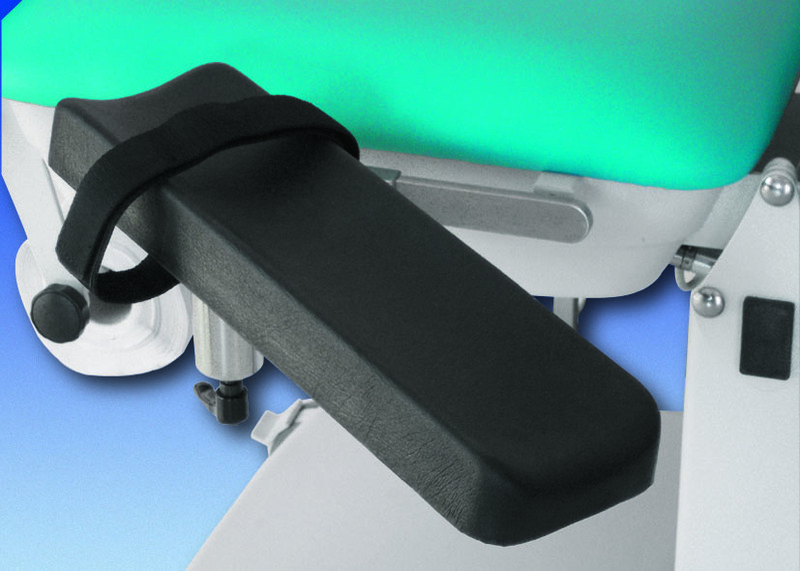 A high level of operator and patient safety and operating hygiene is ensured by the covering of the bottom frame and moving mechanism of the table with washable plastic casings. 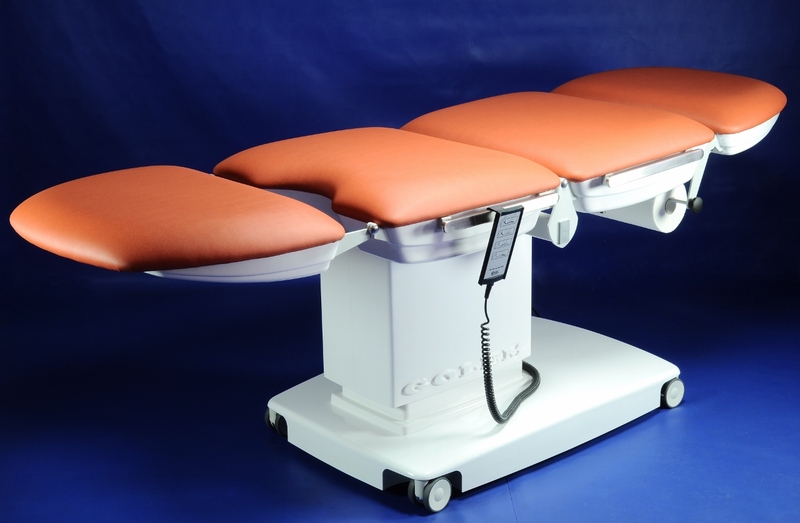 The GOLEM 4S table has maximum utilization for all patients’ positions – lying, sitting, for procedures in the area of head and neck, for cosmetic procedures on the body and limbs, or eventually for the gynaecological position. The 600 mm wide operating surface is covered with seamless artificial leather in a colour of your choice; it is divided into a leg segment, a seat, and a backrest with a head segment. All electric drives are operated manually and the positions can be changed even if the table is fully loaded. 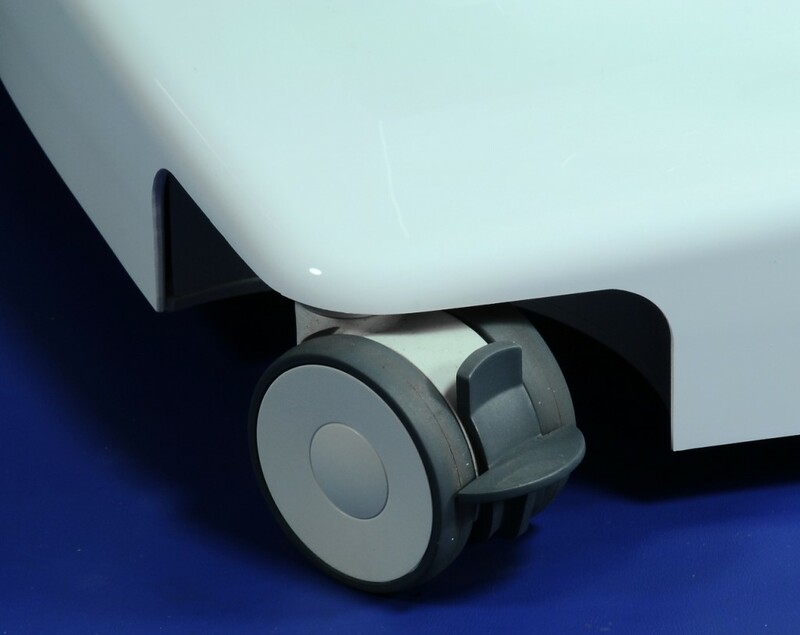 The basic version is stationary, it has a paper roll holder under the head, and it is ready for the installation of further elements you request and need for your work (EUROrails and other elements must be specified separately). 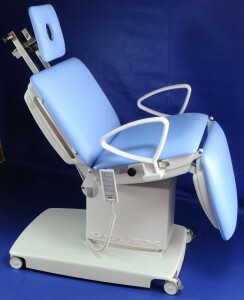 Electric drive adjustable height of 640 – 940 mm, manually adjustable head segment tilt of +- 30°, manually adjustable leg segment tilt of 0° to – 85°, fixed seat with a slight backward incline. 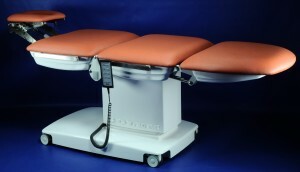 The build-in dimensions of the table are approx. 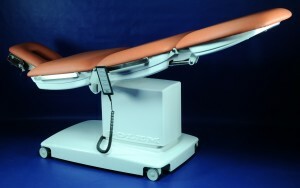 600 x 1 900 mm. 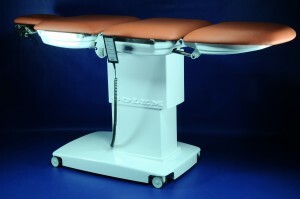 The weight of the table is 104 kg, the carrying capacity is 150 kg. 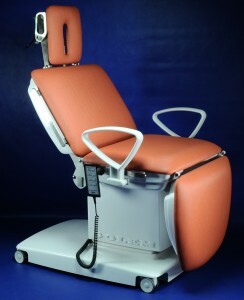 Electric drive adjustable height of 640 - 940 mm, manually adjustable head segment tilt of +- 30°, manually adjustable leg segment tilt of 0° to - 85°, fixed seat with a slight backward incline.